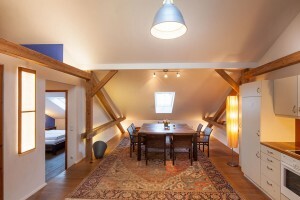 The LOFT Apartment is on the 3rd floor of our old townhouse built in 1910 (no lift). 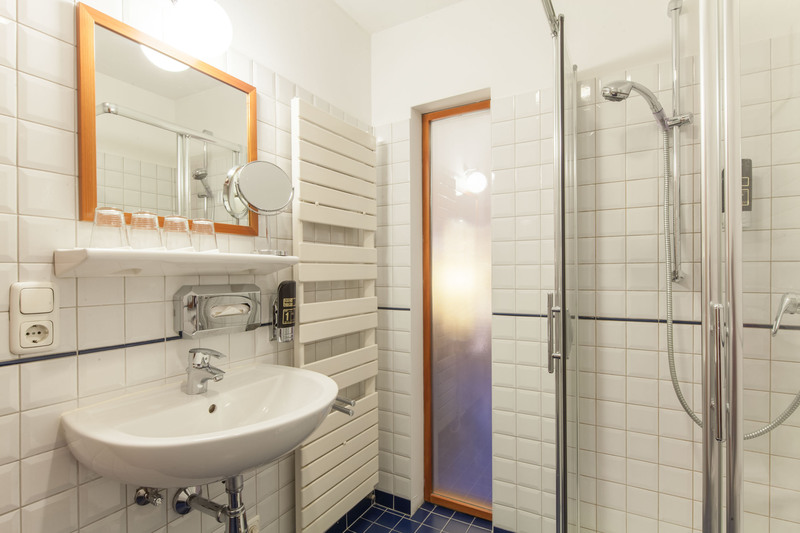 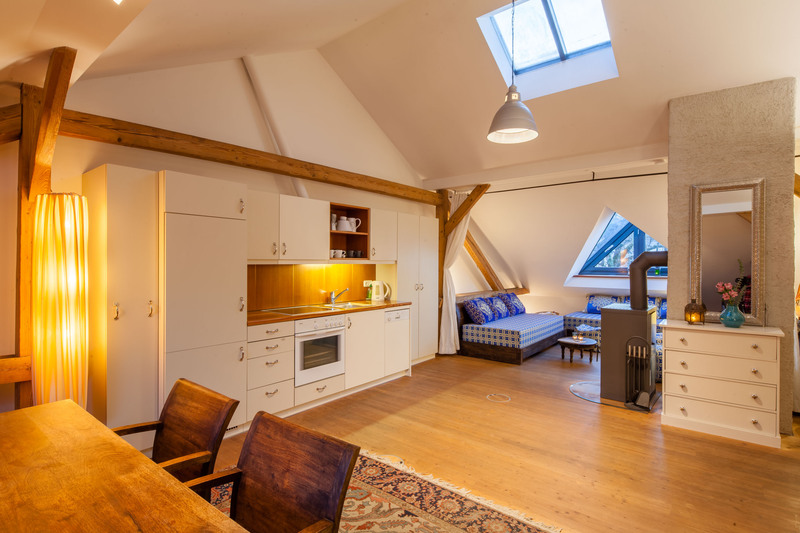 It offers a spacious living/eating space with fully equipped kitchen, 1x bedroom with king-size bed (180x200cm) as well as a sleeping space with max. 3x sofabeds (90x200cm; separated by curtain from living/eating space. 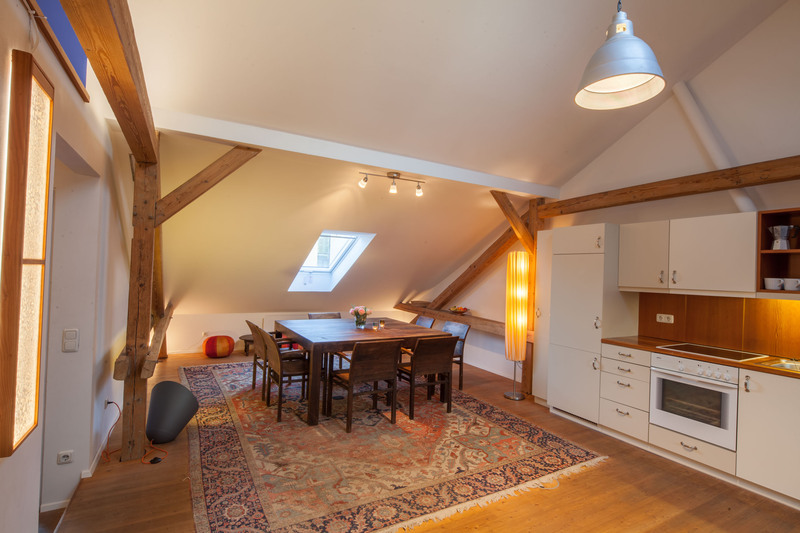 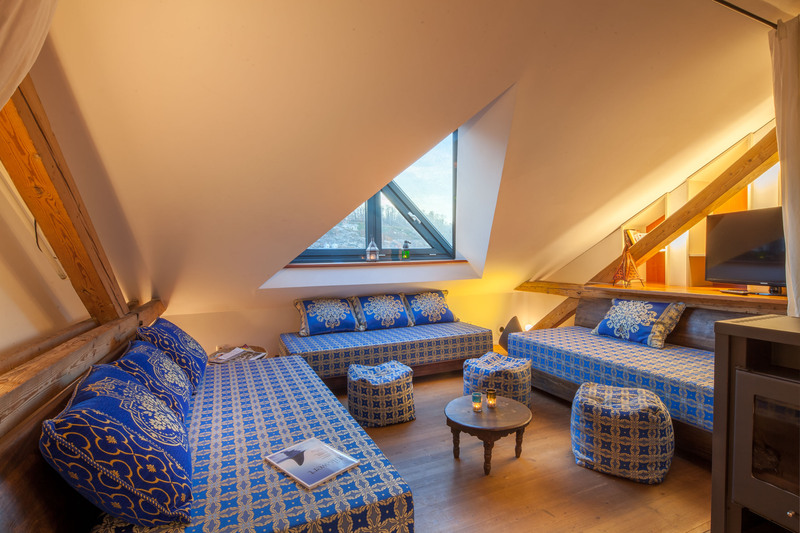 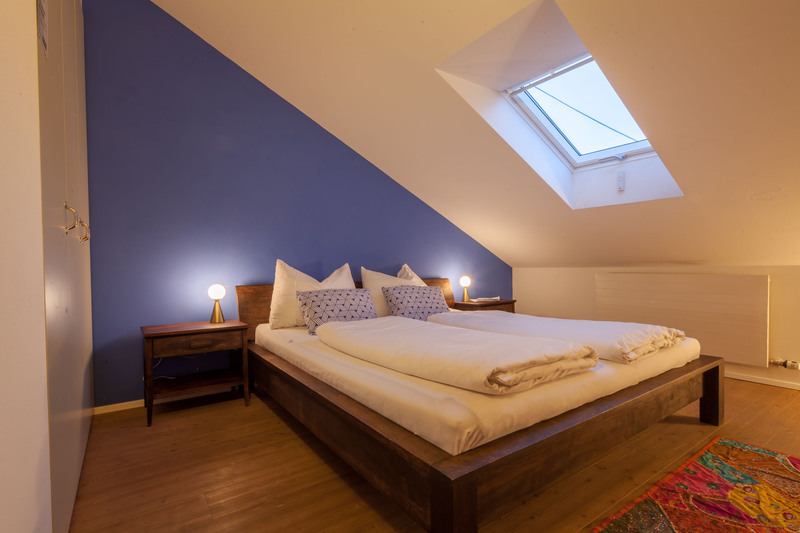 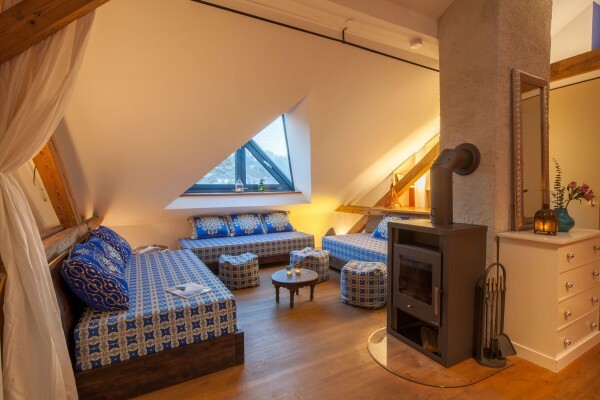 Reside above the roofs of Salzburg and marvel at the view over Salzburg´s old city centre.